42035 Galveston No recent reports. 42019 Freeport No recent reports. 42020 Corpus Christi No recent reports. 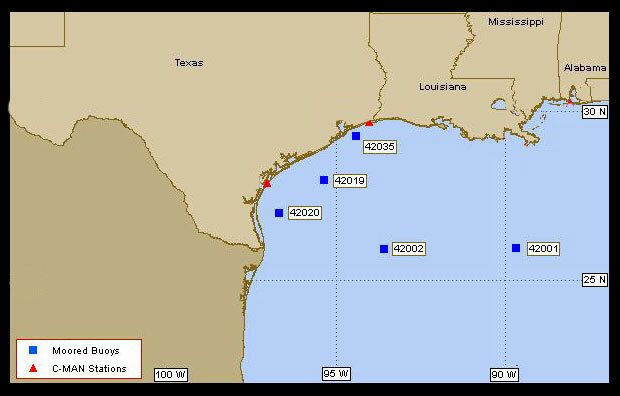 PCNT2 Matagorda Bay No recent reports. PTAT2 Port Aransas No recent reports.